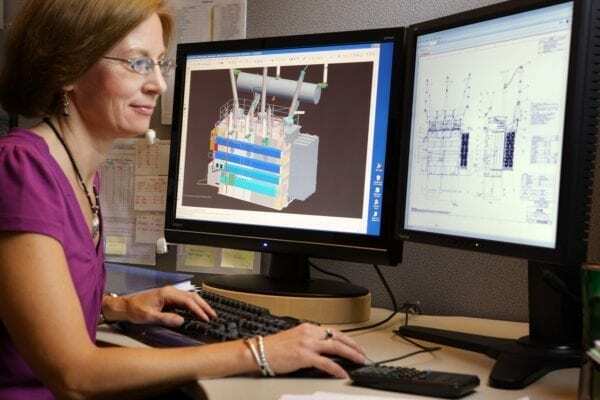 Power Transformer Engineering | SPX Transformer Solutions, Inc.
For over 50 years, SPX Transformer Solutions has engineered power delivery solutions that provide exceptional performance and long service life. Waukesha® transformers, whether engineered in Goldsboro, North Carolina, or Waukesha, Wisconsin, are synonymous with quality and reliability and are custom designed to meet specific customer requirements and applications. Project manager maintains a close working relationship with each customer to address issues even before the design process starts and serves as main contact throughout the course of the order. SPX Transformer Solutions' Engineering Team has experience with a wide range of transformer configurations and special requirements. 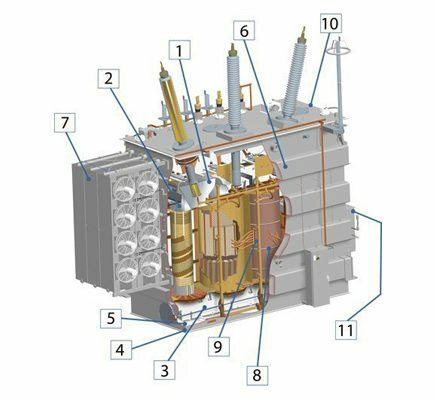 Helpful links for writing your transformer specifications to industry standards. Waukesha® power transformers have earned a reputation for quality and are custom designed to meet specific customer requirements. This process begins by accessing design data from one of the industry’s largest computer-based libraries. Hundreds of alternative core and coil configurations are reviewed for each proposal, allowing SPX Transformer Solutions’ engineers in Wisconsin and North Carolina the opportunity to select the optimum electrical design that will satisfy a customer’s individual needs. Other programs then plot the forces that a coil will experience during a short circuit, helping to optimize the mechanical design. Computer data also furnishes precise information on flux density, conductor size, cooling requirements, dielectric characteristics, power losses and more. Core / No-load losses minimized by utilizing laser-scribed, super grain-oriented steel. Lamination width customized to achieve a near perfect circle core cross section, resulting in the most efficient use of materials plus a lighter, more compact, high performance transformer. Coil assembly rigidly braced in a high-strength frame that distributes clamping forces around the full circumference of the windings. Submerged-arc welding process produces deep penetration welds, virtually eliminating leakage from welded tank joints. Inside tank surfaces are painted white to facilitate internal inspections. Exterior tank coated to a minimum thickness of 3 mils; this coating has superior endurance characteristics and meets ANSI C57.12.28 standards. Galvanized radiators provide excellent corrosion resistance and require minimal maintenance (fan guards also galvanized). Material-stabilized coils are pressure-fit within the core frame. Patented de-energized tap changer (DETC) features simple and compact in-line contact arrangement (Patent Number 5,744,764). Load tap changer per IEEE C57.131 and IEC 60214; the Waukesha® UZD® is designed to withstand up to a half-million operations without need for contact replacement. NEMA 3R control box is an enclosure for customer interface with transformer monitoring equipment, LTC and transformer cooling controls. Anti-condensation heaters, covered document box, three-point door latch and padlockable door handle are standard as is stainless steel external hardware and a large, removable bottom plate for customer conduits and cabling.